Several families in one Westlake neighborhood are wondering what the heck is going on. There's damage to their yards, sidewalks need to be replaced, and they're worried if more is to come. "It was just constant," said Terri Capriolo from Westlake as she was showing us her cell phone video. Water gushing down the sidewalk and the street. “Yeah, both ends." It was pouring on her street Oakwood Lane for hours last Friday and into the weekend. She called the Cleveland Water Department as did others. "Neighbors are coming over and they're like, ‘Do you want us to call?’ I'm like yes. Anybody...just call," explained Capriolo. The reason people in the 3000 block of Oakwood are worried is because there was another break up the street from Capriolo and a massive break next door to her home. Plus, there was more water break damage on nearby Creekside Drive. "It's just been disruptive,” said Tony Georges has lived on Oakwood for 12 years. He says the recent breaks have been bad. "Difficult trying to sleep with all of the trucks and the noise at night," he said. Capriolo snapped a picture of her repairs at night. Plus, day and night, the neighborhood's water had to be turned on and off during the fixes. "You're in the middle of a shower and they come knocking at your door saying, 'We're going to shut the water off for about an hour,'" said Georges. This isn't the first time we've shown you major water leaks around that neighborhood. We have video of water flowing from just last year all along Westwood Road. At the time, Mayor Dennis Clough was not happy. "Talk about wasting money," he told us in 2017. Now, Westwood is being repaired, again. 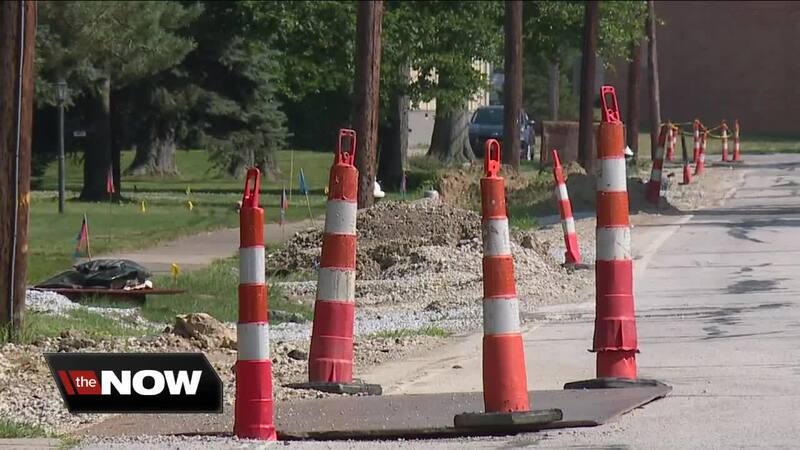 Neighbors are wondering if that project is part of the problems popping up on their street. Update: Cleveland Water said that's possible but reps don't know that just yet. The department is currently doing a physical, hydraulic, and engineering analysis. Cleveland water reps said the reason for the night time work is because the break was severe enough to get at it right away. 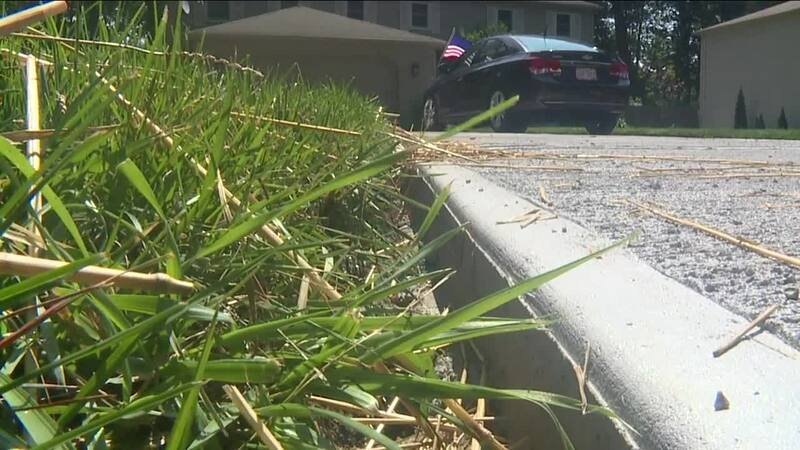 Also, they will repair tree lawns from the water damage, but keep in mind there's a backlog from leaks in the winter when they couldn't plant grass. That work is done based on were the damages are grouped in geographic locations. In the meantime, people told us they’re concerned about whether or not more leaks will break through. "We have a family,” said Georges. “It just disrupts your whole life." "Is this going to keep going on all the way up the street?” questioned Capriolo. “Everybody is nervous."